Every successful product is originated from a great idea. To transform the idea into a successful product, disciplined development process must be followed. Alphalogic has mastered Agile development process over the years, developing 60+ world-class applications. We take pride in our matured process. Each phase of our process focuses on continuous improvement, collaboration, quality, and getting tested shippable product to the market. We use Agile methodologies like Scrum and Kanban to build amazing applications for our clients. Once we have designs and user stories, our development team begins to build your application. In this phase, we break product backlog into multiple sprints. On initiating a sprint, we hold a daily scrum meeting every day. At the end of every sprint, we conduct sprint review where we demo the application to all the stakeholders and capture feedback. This feedback is then pushed to the backlog to be considered in the next sprint. In this phase, our design team works closely with product head and start preparing information architecture diagrams to describe user flow. Then the designer creates style guide and wireframes. The style guide and wireframes help design high-quality mockups and clickable prototypes for the project. Discovery phase is the most important phase of project development process. We start with the discovery phase where we meet with you to discuss project goals and business objectives. This process enables us to understand about your business and propose the solution. In this process, we listen to your pain points, understand your business logic, do research, establish detailed requirements document, create target user personas, draft user stories, and find the robust solution customized for your business. We hit the ground running by conducting a kick-off meeting to discuss your project requirements. We listen to your pain points, business process, target audience, target demographics to outline the best possible solution. Our subject matter experts would work with you closely to understand your business, your business goals. This will set a solid foundation for the project. On approval of business goals and objectives, we begin with the strategy phase. In this phase, our strategy development specialists identify key metrics of success and develop a detailed strategy for the project. This will help us determine the key metrics to determine success on project delivery. Based on business goals, strategy, and key metrics, our technical team will work closely with you to create the information architecture, user personas, and user stories. Information architecture forms a foundation for user experience designs. During the design phase, your application takes shape. Our specialized design team follows user-centric design approach. We give special importance to the primary user experience as a foundation of the project. A solid UX/UI designs help attract new users and retain existing users. We have years of experience building right user experience for your users. The deliverables of this phase are product wireframes, mockups, and clickable prototypes. The development phase is where the magic happens. We take your designs, user stories, mockups and develop a robust application. We follow a proven and matured Scrum agile development methodology tested for over 60+ applications. The development team starts by building product backlog which is governed by the product owner. Based on the product backlog, the team selects appropriate user stories for a sprint. In sprints, the development team holds daily scrum. Our sprints are of 2-4 weeks. At the end of every sprint, we demonstrate the incremental shippable product and take feedback.  How we use Scrum framework for development? Scrum framework allows us to build applications iteratively and also help us reduce the development risks. In scrum process, the development is divided into several sprints. Each sprint turn-out into a small shippable product that is ready to be delivered to the customer. Customer reviews the product and gives feedback for the same. Any feedback given by the customer is then added to the next sprint. The product owner who is responsible to take care of the end user’s interests. Scrum master, who coordinates the whole scrum process and make sure that Scrum is used in a right way and responsible for the Scrum meetings. Scrum team develops the product including the programmers, analysts, designers and QA engineers. The product backlog is a prioritized list of features (User Stories) that should be implemented during the development process. During this stage, the Product Owner writes the user stories, prioritizes them as per value, and adds to the product backlog. Each product backlog item has a unique ID. The sprint backlog is the subset of the product backlog. In each sprint, scrum team picks the user stories from product backlog to implement. In sprint planning meeting, the entire Scrum team assembles; in collaboration with the Product Owner and the Scrum Master the team selects a user story from the backlog and the group members brainstorm on it. Based on the conversation, the Scrum group decides the complexity of the story and decides if it should go into the sprint and how much they can complete in the upcoming sprint. Once the team agrees, the software development process begins. The Sprint implementation is started and the team starts working on the stories. To track the current working process, we use the task board within the team. 2. What do I intend to do today? 3. Explain if the person has anything blocking them from completing their work for the day. After each sprint completion, the team holds a Sprint Review Meeting to demonstrate a working product increment to the Product Owner and Scrum Master. In this meeting, the developed product features are demonstrated in the live environment. The Product Owner may verify the stories according to their acceptance criteria and On this basis, they take a decision about further project changes. 1. Exactly what went well in the sprint? 2. Exactly what didn’t go as planned in the sprint? 4. Action items to be acted on? Once the improvement strategies are outlined, the team concentrate and apply that to the next sprint planning. At Alphalogic, we have our dedicated Quality assurance team. Our dedicated QA engineers work exclusively on a single project and directly report to the project business analyst as well as closely collaborate with you and your staff. This proven approach helps us build a robust application. We use automation is our testing process. Our top-of-the-line automation testing engineers build the automated test scripts, do the regression-testing of your application, and effectively create the QA automated test environment for your project. During this phase, the overall performance of the system will be measured and analyzed. The key parameters for performance testing include the user scalability and handling, database load testing and response time. During this phase, we measure the response times for each module. If the response time for the module of the application is high, we optimize the required to reduce the response time and optimize page loading. During this phase, an independent QA team is assigned the responsibility to test the functionality of the application and give final approval. Alphalogic provides DevOps driven continuous improvement and development for our clients. This approach sets better collaboration and communication between everyone involved in the project including you, your staff, developers, testing executives and operational people. It encourages a shared accountability and responsibility.